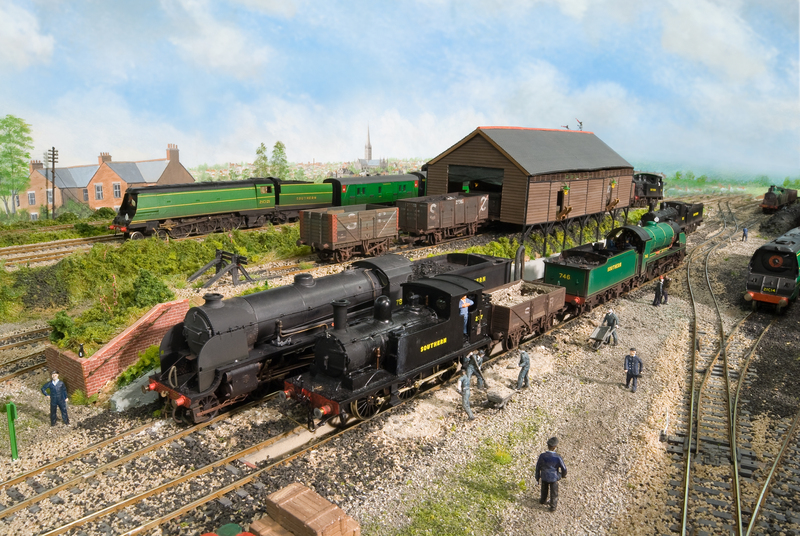 A busy time at Fisherton Sarum, G6 Class No. 237 built from a SE Finecast kit, shunts the ash wagon, whilst N15 Class locomotives 746 ‘Pendragon’ and 782 ‘Sir Brian’ await their next turn of duty. Bulleid West Country class No. 21c121 ‘Dartmoor’, a much modified Hornby Margate manufactured model heads west.